Qualcomm is bored with 2012 so it's moving on from its S1, S1, S3 and S4 for a completely overhauled lineup of mobile silicon. Your favorite new devices will probably soon be running the Snapdragon 800, 600, 400 and 200 processors. The top two, the 800 and 600, will be where calls and texts and Web browsing will run as slick as ice. The new names don't quite have the same easy ring to them, but they certainly sound powerful with longer names. The company said the Snapdragon 600 will pick up the sad pieces of last year's S4 Pro, with a 40 percent increase over the quad-core Krait and Adreno 320 graphics. You ready for more power? Because devices running the new chip will be out during Q2 of 2013. New year, new tech. But it's not the company's most productive member of the cow herd. Qualcomm's Snapdragon 800 will introduce a 75 percent performance increase and double the graphics performance — New Krait CPU cores can be clocked up to 2.3GHz each, and there's an Adreno 330 GPU. Included in the new processor will be a faster LTE Cat 4 modem, better Wi-Fi performance, QFHD video recording, and support for wildly sharp 2560×2048 resolutions. Qualcomm expects these new speedsters to hit mid-year. As in, months and months from this exact day. The company said 50 different products are lined up to play host to these new processor, so we'll probably start getting wind of some substantial information once MWC and CTIA get closer. It'll certainly be a huge battle now that NVIDIA has already come out and announced its new Tegra 4. 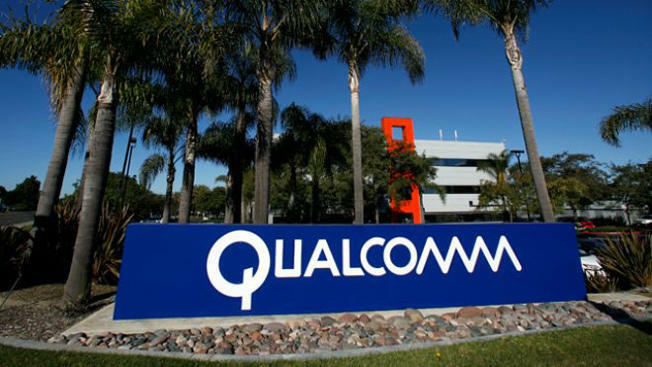 LAS VEGAS, Jan. 7, 2013/PRNewswire-FirstCall/ — Qualcomm Incorporated (NASDAQ: QCOM) today announced that its wholly owned subsidiary, Qualcomm Technologies, Inc., is sampling the first products in its latest generation of processors. With the introduction of its newest Qualcomm Snapdragon™ 800 and 600 processors, Qualcomm continues to lead the industry by once again raising the bar on performance per watt and delivering unparalleled user experiences. Visually stunning mobile experiences : Qualcomm Snapdragon 800 processors include the new quad core Krait 400 CPU, Adreno™ 330 GPU, Hexagon v5 DSP and our latest 4G LTE Cat 4 modem and deliver increased system performance and platform upgrades that further enhance user experience. Seamless communications anytime, anywhere : Qualcomm Snapdragon 800 processors offer fully integrated connectivity and a wide variety of communication options. Breakthrough multimedia experiences : The Qualcomm Snapdragon 800 processors also introduce the very latest mobile experiences. "With the overwhelming success of our previous Qualcomm Snapdragon platforms, our mobile processors have emerged as the platform of choice for high-end mobile devices," said Steve Mollenkopf, president and chief operating officer of Qualcomm. "With more than 50 design wins already secured with the first products of the Qualcomm Snapdragon 600 and 800 processors, we are advancing our vision and setting the standard for excellence in mobile computing."